I love a good tequila. Not the stuff you slam at a bar or use as a mixer in a margarita. No, I enjoy the full flavored, aged (añejo) tequilas that are best savored slowly. So you can imagine how excited I was to stumble across this bottle of Los Azulejos's limited edition Skeleto añejo tequila at Costco! Not only is it delicious, the ceramic container is perfect for Halloween and Día de los Muertos! 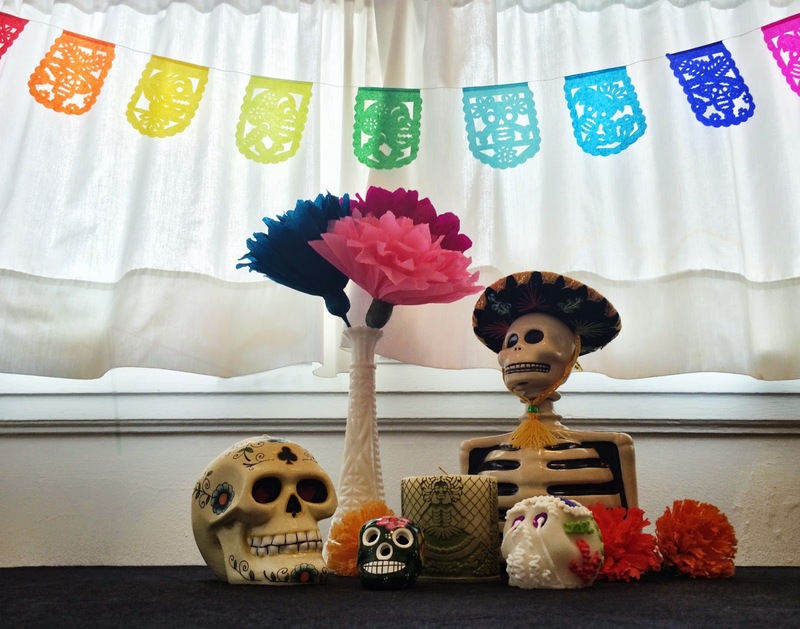 My table is ready for Día de los Muertos! Now I'm not going to pretend I know anything about reviewing liquor. I have no clue what critics are saying when they describe something, for example, as having leather notes. What I can say is that is that Los Azulejos's añejo tequila is smooth with delicate flavors that would be lost if used in a mixed drink. After digging online, it looks like the average price for the company's aged tequila is around $75. The empty bottles from the brand's Skeleto collection are selling on eBay for an unbelievable $100. Which makes the approximately $50 I spent to bring mine home all the sweeter. For those of you who don't want to spend that much, less expensive and less aged versions are also on sale at Costco. The icing on the cake? 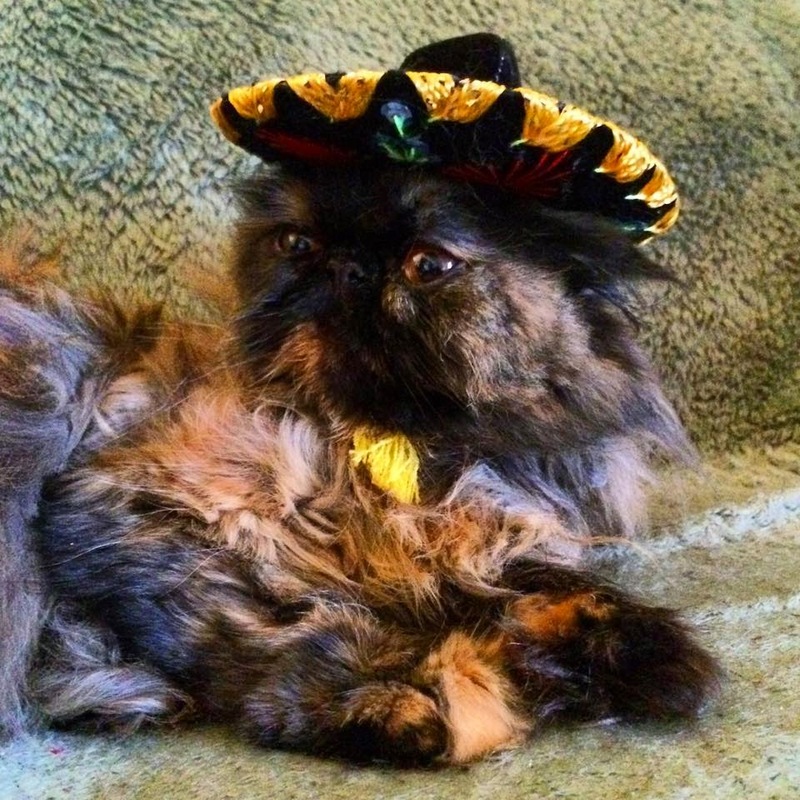 The hat is the perfect size should you wish to force your cat to model it for photographs. My cats put up with so much from me.